Dreamland Mission Hospital has been the focus of Brewers support in Kenya as part of the Company’s commitment in communities. Having provided valuable donations and support from 2012-2015, Brewers have committed to a further 3 years to support additional developments of this vital resource in what is an extremely remote area of western Kenya. Four Brewers members of staff were selected (through an application process) to visit the hospital and see how the Company’s support is helping to change lives in the community. “We arrived in the rural village of Kimilili at the foot of mount Elgon excited to be meeting the team that run the hospital and who have coordinated its growth and development from a small dispensary to the facility it is today, being able to offer such an amazing, life changing services to the people of Kimilili and western Kenya. 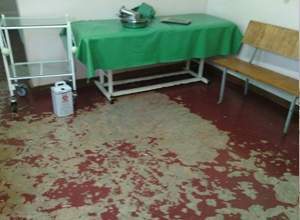 A tour of the hospital soon showed us how limited this region of Kenya’s facilities used to be as we learned how the ultra sound, x-ray, lab for complex tests, operating theatres facilities are the only ones for miles around. The hospital is widely known for its orthopaedic work carrying out extensive corrective surgery for children with club foot and other limb deformities. As we moved to the main theatre, it became evident the impact the support from contributors such as Brewers has made to the hospital. The theatre equipment was in place because of the support and with the generous work of the Smile Train charity, cleft repair surgeries could take place. The hospital is changing the lives of so many Kenyans, many of whom hear about the services by radio and word of mouth and then travel for tens of miles on dirt track roads by foot and motorbike just to be assessed. The eye surgery before the Brewers team arrived in Kenya. Our focus for the visit was the eye surgery. This and the construction of the 2 story paediatric ward are the next big developments for the hospital and two key projects that Brewers support will be contributing towards. One of Dreamland’s surgeons, Clement Kiprop, is now fully trained as an eye specialist. The eye surgery has been operational for a few years, but started just as ‘eye camps’. The current theatre is looking tired and ill equipped to handle the demands of the growing service and so a team of local tradesmen were at work tiling and painting the space to bring it up to scratch. This is where we were able to lend a helping hand!”. 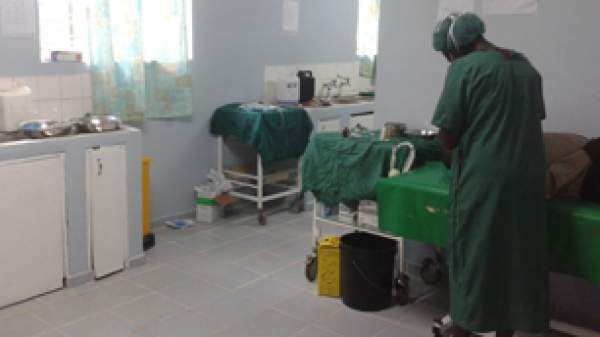 Health care in Kenya is not normally free but Brewers, ROPE and other individual donor support has supported the programmes to allow children to have corrective surgery and eye treatments for free or at a very small fee. Being immersed in the challenging conditions the exceptional people of the hospital work was a humbling experience for the Brewers team. The dedication, commitment and enthusiasm of all concerned really does change lives and Brewers are proud to play a part in such in inspirational project.